If Theresa May’s Brexit deal gets through Parliament, Labour wants it to be put to a referendum – with remaining in the EU as the other option. 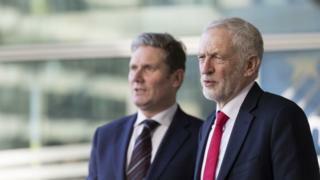 Labour’s shadow Brexit secretary Sir Keir Starmer confirmed the party’s new policy in an interview with BBC Radio 4’s Today programme. He said Labour would attempt to get its own Brexit proposals through Parliament on Wednesday. But if that failed then the party would back another referendum, he added. “We specifically agreed yesterday (Monday), as the Labour Party, that if the prime minister’s deal gets through, that deal should be subject to the lock, if you like, of a public vote in the way that Jeremy (Corbyn) spelled out yesterday,” he told Today. Sir Keir rejected claims from anonymous Labour sources who had briefed that Shadow Foreign Secretary Emily Thornberry “misspoke” when she set out the party’s position on the referendum. Asked if advisers to Mr Corbyn did not agree with the position, Sir Keir said he “didn’t know who said what” but Ms Thornberry had been “setting out what the position is we agreed as the Labour Party”. Labour will seek backing for its own Brexit proposals, which include a “comprehensive customs union” with the EU and “close alignment” with the single market in a Commons vote on Wednesday. The House of Commons last month rejected Labour’s proposals by 39 votes – and Conservative MPs will again be whipped to vote against it, reducing its chances of success. At the same time, 30 or more Labour MPs are thought to be against another EU referendum, making it potentially difficult for that to get a Commons majority too. 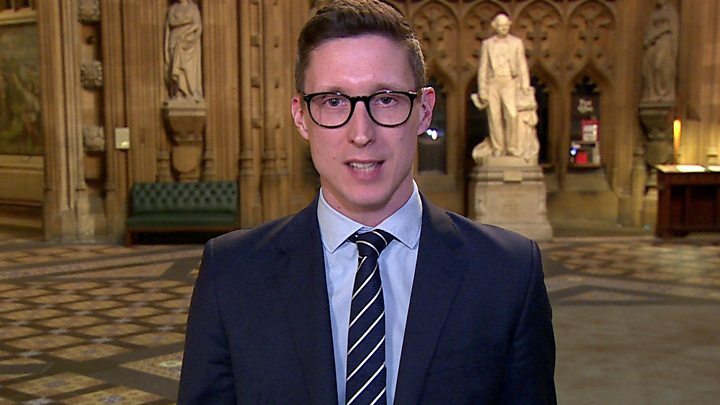 If Labour did not get MPs to back its own Brexit proposals on Wednesday, Sir Keir said: “We, the Labour Party will either put down ourselves, or support an amendment, in favour of a public vote”. The precise wording of the question on the ballot paper would have to be decided by Parliament, he told BBC Radio 4’s Today programme. But he said the referendum choice should be between a “credible leave deal”, that “has the confidence of Parliament”, and staying in the EU, which he would support. Mr Corbyn had resisted pressure from Remain-supporters in his own party to get behind another referendum, insisting he preferred to force a general election, even after he failed in a bid to unseat the PM in a confidence vote last month. But on Monday, Mr Corbyn announced a change of heart, telling his MPs: “One way or another, we will do everything in our power to prevent no deal and oppose a damaging Tory Brexit based on Theresa May’s overwhelmingly rejected deal. Shadow Chancellor John McDonnell said the prime minister had pushed MPs “so near the edge” that Labour had little room for manoeuvre. If the party could not get its Brexit proposals through Parliament, then “we have to fall back on going back to people – not what we wanted but that’s the only last sanction we’ve got,” he told reporters on Tuesday morning. He said Labour had abided by its 2017 election manifesto to respect the referendum result, but that the party had also agreed at its party conference in September conference to block “no deal” or a “reckless deal”. “If Parliament backs another option and it’s not our deal, that’s the one that will have to go before the people – and people will have chance to vote for that or remain,” he said. Eight Labour MPs quit the party last week, partly in protest at its refusal to get behind another referendum. Chuka Umunna, a leading member of the new Independent Group of MPs, said Labour’s new stance was “better late than never”. The UK voted to leave the EU in a referendum in June 2016, but the withdrawal deal Mrs May negotiated with the EU has to be agreed by MPs – and it suffered a huge defeat by them last month. Mrs May has ruled out a “meaningful vote” on her Brexit deal this week – saying one would be held by 12 March – but she is giving MPs the chance on Wednesday to have their say on how the next steps for Brexit. Does Labour’s policy shift make another referendum more likely? I asked the Labour leader’s spokesman that very question twice last night. He said a lot of things in his answers, but he didn’t say “yes”. First, it’s not yet clear what form this commitment to a referendum will take. What would constitute a “credible leave option”? 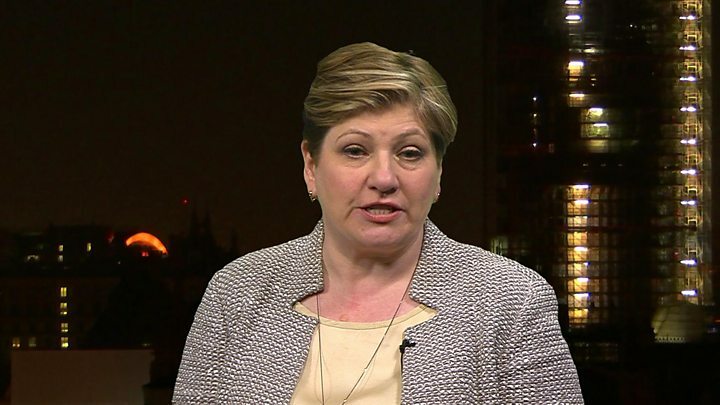 Sir Keir Starmer and Emily Thornberry are clear – if Theresa May’s deal passes through Parliament, then that is the “leave option” and it should be put to a referendum. Labour, under these circumstances, would campaign to Remain. But sources close to the Labour leader say a “credible leave option” could also be the party’s plan for a customs union – and in a subsequent “public vote” Labour MPs would be expected to back this Brexit plan over Remain. Any definitive decision will be taken further down the line, close to the “meaningful vote” on Mrs May’s deal. Second, there is a question over whether a referendum in any form would get through Parliament. Don’t forget, not only Jeremy Corbyn himself but some of his shadow cabinet have never been keen on the idea. Estimates of how many Labour MPs from Leave-voting areas would rebel against a “public vote” vary. But I am told the working assumption in the Labour leader’s office is that – as things stand – there would be enough to defeat it. Support for a referendum could grow if 29 March approaches and there is still no deal with the EU. That’s why the Labour policy shift is seen as important by People’s Vote campaigners. But just because the Labour leadership are now formally moving to back the referendum option doesn’t mean it will actually happen.